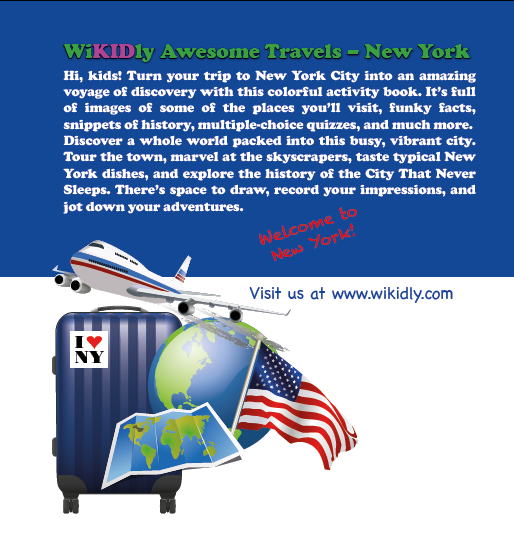 The kids are going to New York! 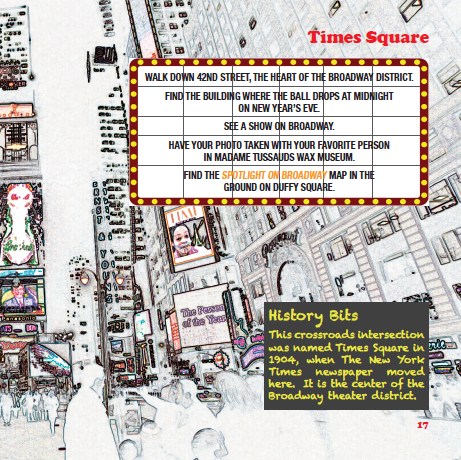 This 40-page activity book includes major sightseeing destinations, such as the Statue of Liberty, Ellis Island, the Empire State Building, Times Square, Central Park, as well as New York’s great museums and fun-filled parks. 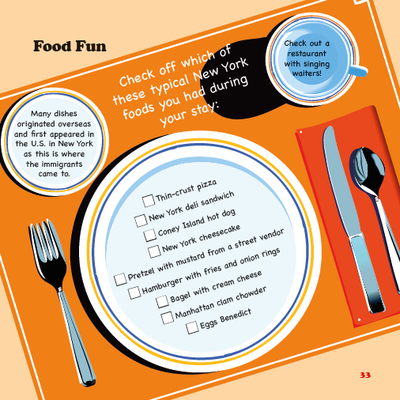 Trace the footsteps of the immigrants who were the ancestors of many Americans, marvel at skyscrapers, taste typical New York dishes, and discover a whole world packed into this busy, vibrant city. 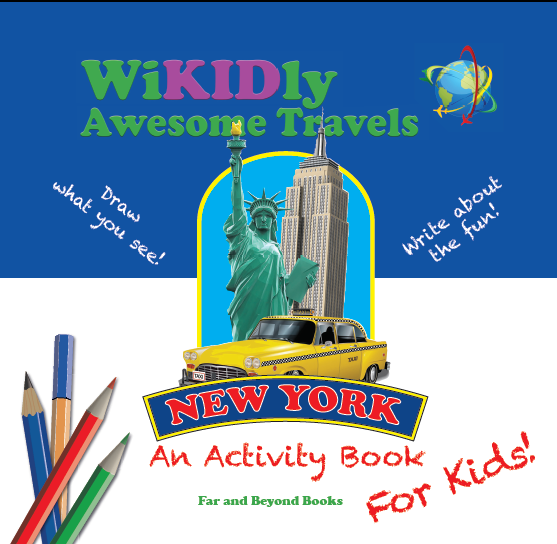 Whether on a trip with family, friends, or school, this activity book is a must-have fun companion for young globetrotters. 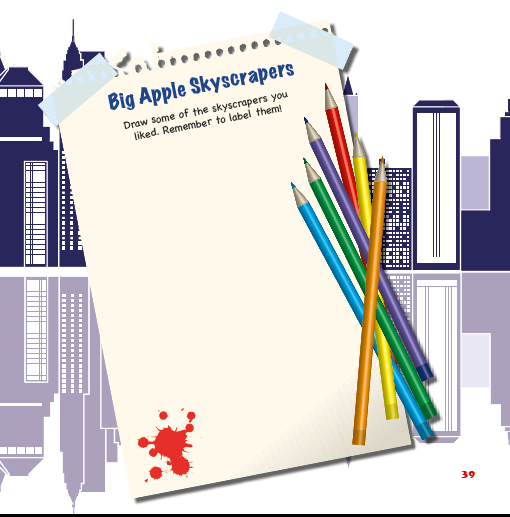 Welcome to Big Apple! 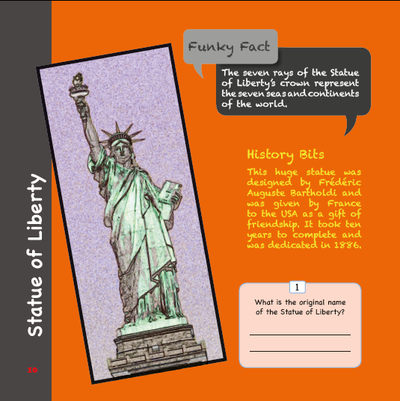 Visit this most famous icon, the Statue of Liberty, right up close. 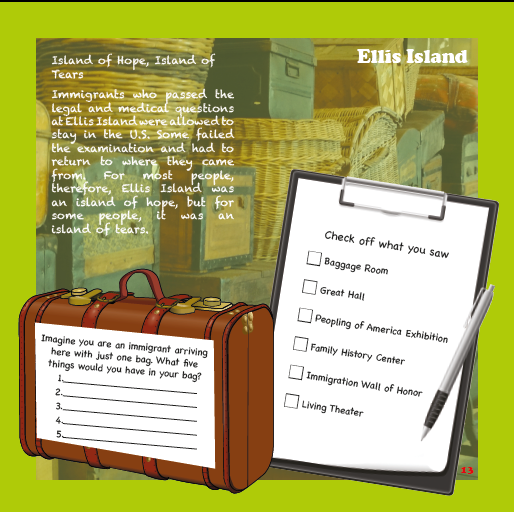 Experience what it was like for immigrants arriving at Ellis Island. 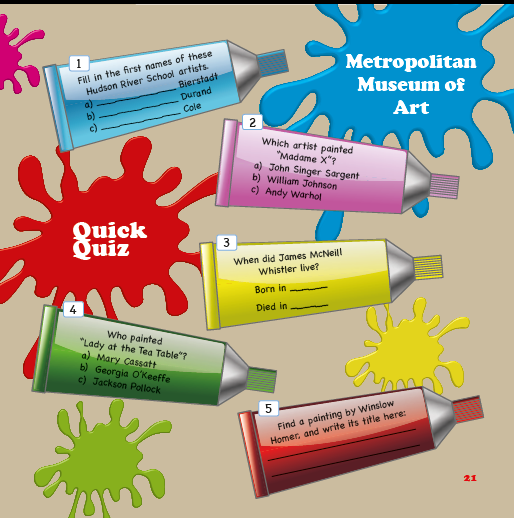 Explore the wonderful art in the Metropolitan Museum of Art. 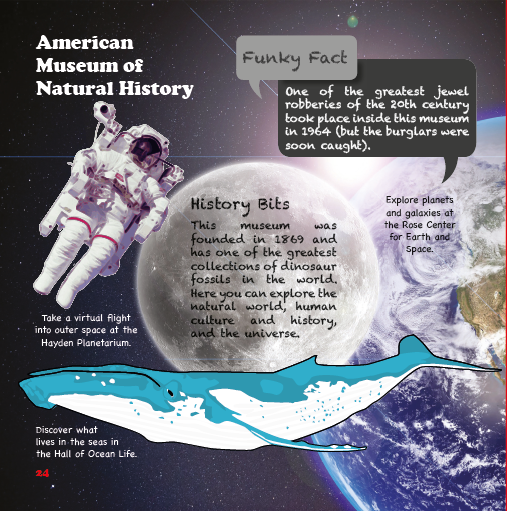 Explore our planet and the universe beyond at the American Museum of Natural History. 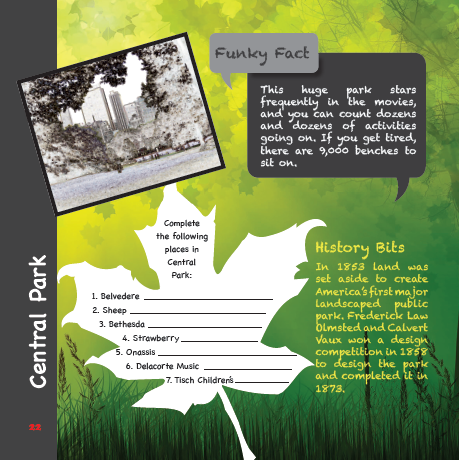 Enjoy the countless activities and playgrounds of Central Park. 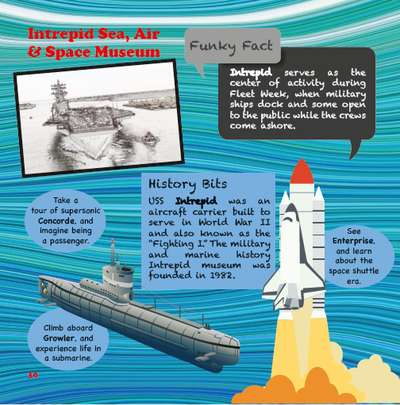 Look inside an aircraft carrier, a submarine, Concorde and a space shuttle at the Intrepid Sea, Air & Space Museum. Wow! Times Square - thee busiest crossroads in the world. Taste New York through these different dishes! Show your artistic side as you draw some of the skyscrapers you see.